Nikola has announced the delivery dates as well as the specs for their all electric UTV. 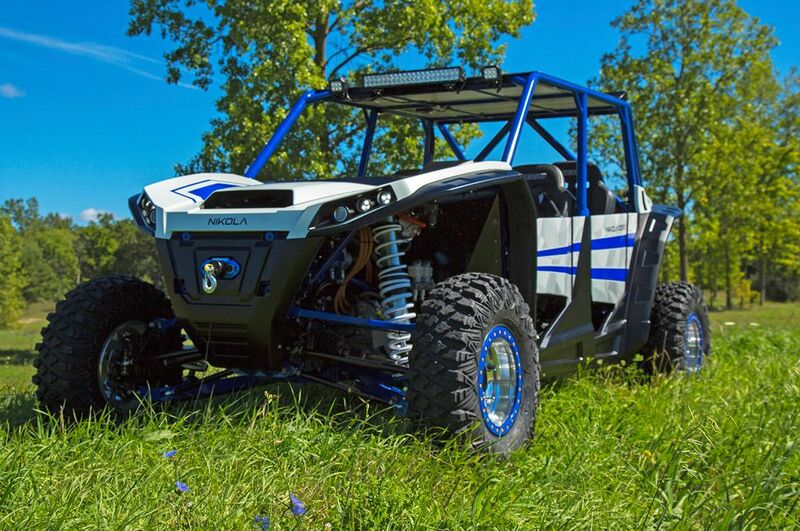 Coming in two options (415HP & 555HP) this is looking like an awesome UTV! Read the Press Release Below! SALT LAKE CITY. 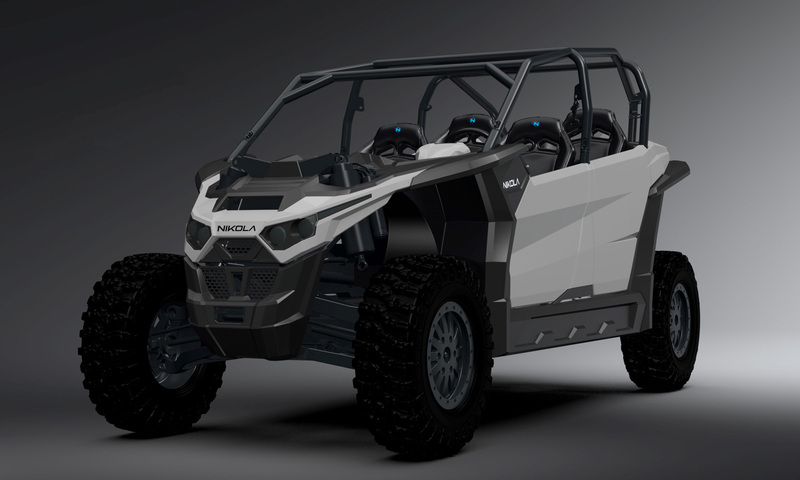 August 15, 2017, Nikola (pronounced Neek-oh-la) Powersports has finalized the specifications and design for the four-seater UTV dubbed the “Nikola Zero.” The Nikola Zero UTV is an all-electric, 400-volt plug-in, o-road and potentially street ready vehicle. Dealerships can begin reserving production units starting in January 2018. 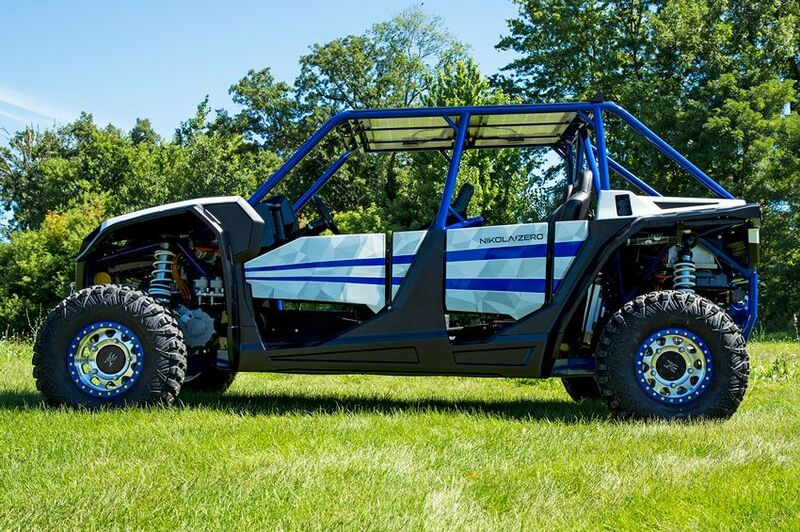 Starting at $35,000, the UTV will come with two performance options; 415 HP & 3,675 . lbs. of torque and 555 HP & 4,900 . lbs. of torque. The UTV will also have three battery options: 75kWh, 100kWh and 125kWh, with the largest battery option giving the Nikola Zero more battery storage than a Tesla P100D, at a fraction of the price. The 125kWh battery package can deliver 200 miles of range in 4×4 o-road mode. ware updating, 10” infotainment center display, 7” instrument cluster, multiple color options, IP 67 waterproofing, LED headlights, taillights, and custom seats, all with a two-year warranty. 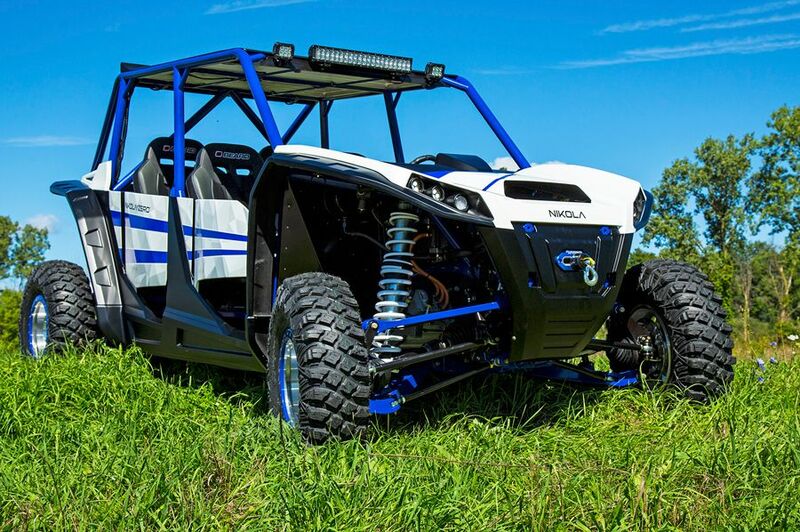 ABOUT NIKOLA POWERSPORTS Nikola Powersports is a division of Nikola Motor Company dedicated to the powersports industry. Nikola Motor Company designs and manufactures electric vehicles, vehicle components, energy storage systems, and electric vehicle drivetrains. NMC is led by its visionary CEO Trevor Milton (twitter: @nikolatrevor). For more information, visit nikolamotor.com or Twitter: @nikolamotor.